Utopia could be characterized as a place where all the problems we experience every day have been resolved. And for that, it could be a way to criticize the society we live in. 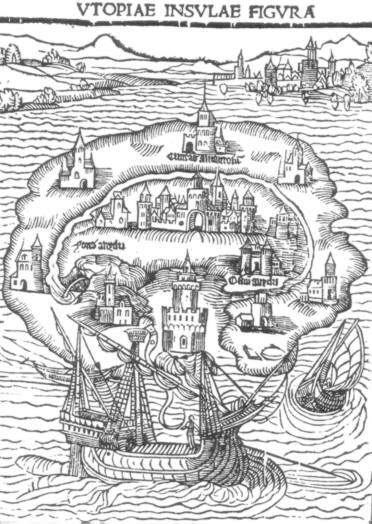 Utopia is also a no-place as the etymology of the word itself tells us. And for that, it is a place that has not and also can not be realized. Nevertheless, utopian thinking has been and still is a basis for political ideas. 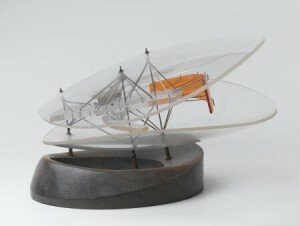 A scale model can be one of the steps for developing or realizing a project. So isn’t it just so smart to combine the two ideas in one’s artistic practice? I’d like to start with – maybe the most famous utopian scale model – Monument to the Third International. 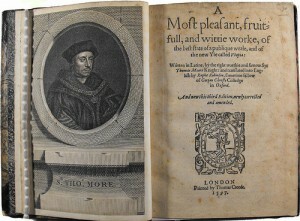 Tate.org.uk calls it the “world-famous symbol of utopian thought”. 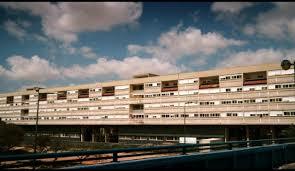 It is a never realized project for a communist building that was supposed to serve various governmental purposes. 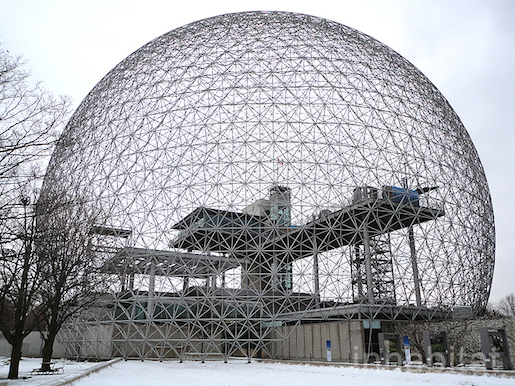 But it is also a symbol of modernism, for it was the first project using steel and glass. And in its ambitions – at this time it was supposed to be the highest building on earth – we see the utopia. It looks in a way like the biblical Tower of Babel – the symbol of man’s vanity – a building so great and enormous it cannot exist. Even though the tower has never been realized, it is vital in our Europian culture. Not only as a part of Russian avant-garde history, but as a symbol of utopia. Utopia is a social project, but as history shows us trying to implement it in society fully can be fatal. Swiss artist Thomas Hirschhorn tries to do so on a smaller scale. He has made sculptures referring to various philosophers and thinkers like Antonio Gramsci, Baruch Spinoza, George Bataille or Gilles Deleuze. 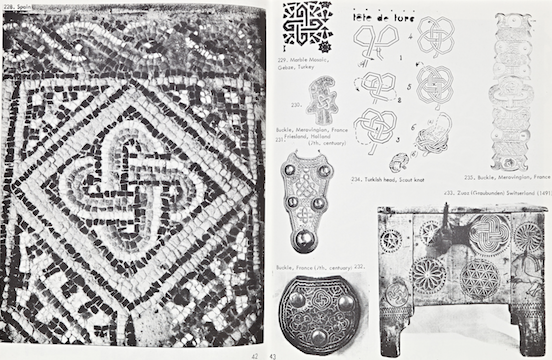 He places his works in selected areas, where with members of the local communities it becomes a sort of inclusive, intellectually stimulating event. His sculptures seem to be social scale models. Scaling not space but time. Making use of their temporality. Hirschhorn calls them “social commitments”. 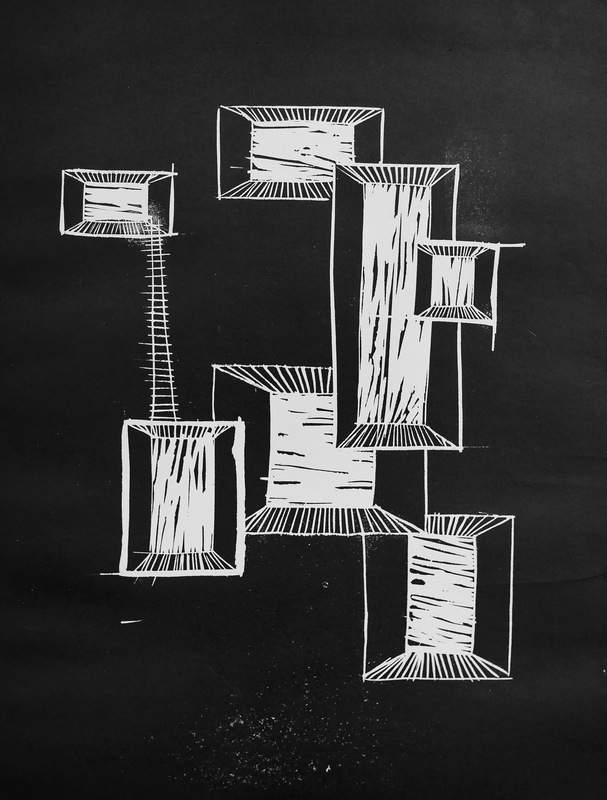 I want to make non-hierarchical work in non-hierarchical spaces. The work is not something more in the museum and something less in the street; this is essential for me. I am concerned by equality and inequality in all forms. Thus I do not want to want to impose hierarchies (…) I am not interested in prestige. I am interested in community. 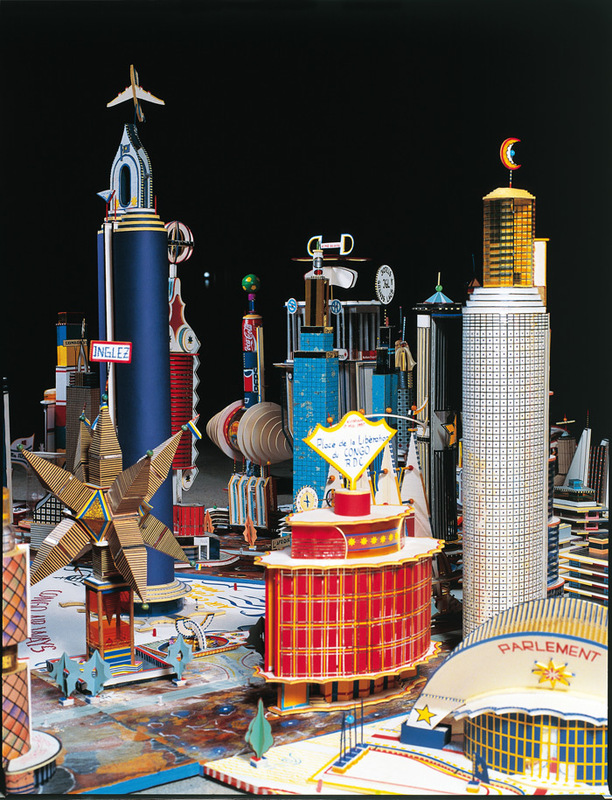 Another artist that plays with the idea of utopia is Bodys Isek Kingelez. He builds scale models that represent the future state of cities/villages that already exist in the Democratic Republic of Congo. 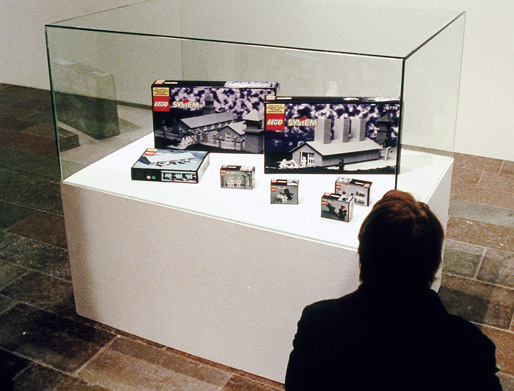 What the cities are in his scale models is not necessarily the desired way he imagines future, but rather a capitalist utopia – an inevitable way in which cities are transformed in a logic of consumerist society. Depending on how you look at it – it could be a utopia or a dystopia. Kimbéville is a real town witch, given time, will exist; it is not an effigy made up of well-known brand names witch is doomed to remain a maquette. (…) This maquette is a promise of something real. The attractions of this town include a plethora of services, hotels and restaurants. Sometimes with an American flavor, sometimes Japanese, Chinese or European, not to mention African fare. The town has it all, from sun-up to sun-down, and for forever and a day. The artist, Kingelez, prophet of African art, is striding towards a new world witch is more modern, more prosperous and a better place to live. Utopia is a way to criticize the society we live in. 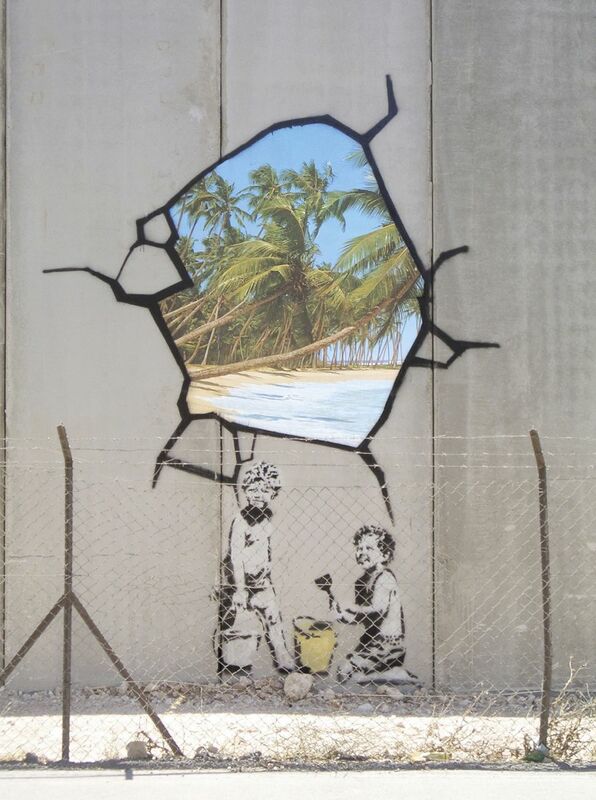 Dystopia serves the same role but utopia does so by providing/imaging an alternative to what we have, whereas dystopia points out the risks that society might face in its development. Dystopia is a utopian project that went wrong. (…) there remains something subversive about these attempts to celebrate the beauty of utopia as inherently totalitarian while maintaining a critical distance from the implications of this attraction. The ultimate dystopia has been indeed realized in a history of human activity and probably is still in realization in places like North Korea. But for western people, the most horrifying part of the world’s history is likely to be the Second World War. The unimaginable dystopia that has been created by the Nazi government is the concentration camp, where the idea of efficiency has been realized to the point where a mass genocide could be profitable in the logic of capitalism. Polish artist Zbigniew Libera has made an art piece in dialogue with this historical fact. It’s 1996 “Lego. Concentration Camp”. 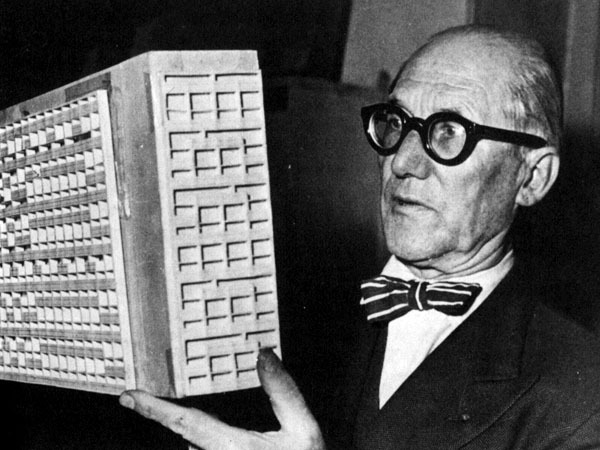 He used popular Danish construction toy to make a scale model of a concentration camp. Most major cities in Japan were left in ruins after the second world war, in particular, Nagasaki and Hiroshima. 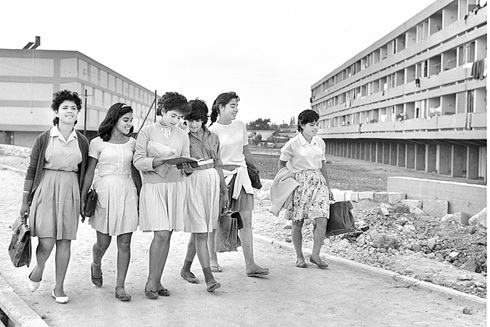 In the post-atomic bomb area, Japan was democratized and turned into a nation with a pro-American orientation. As a response to the human and environmental catastrophe, and as with the growth of the Japanese economy in the early 1950s, proposals for urban redevelopment began to appear. This is when the first concrete example of urban planning with ideas that would later come to define the metabolism movement appeared. 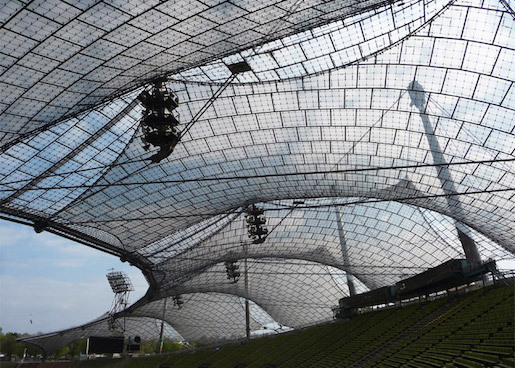 You can argue that it started with the designing of the reconstruction of Hiroshima. 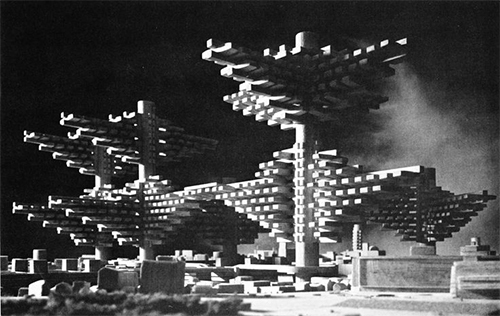 The Japanese architect Kenzo Tange and his team of architects was commissioned to make this plan. 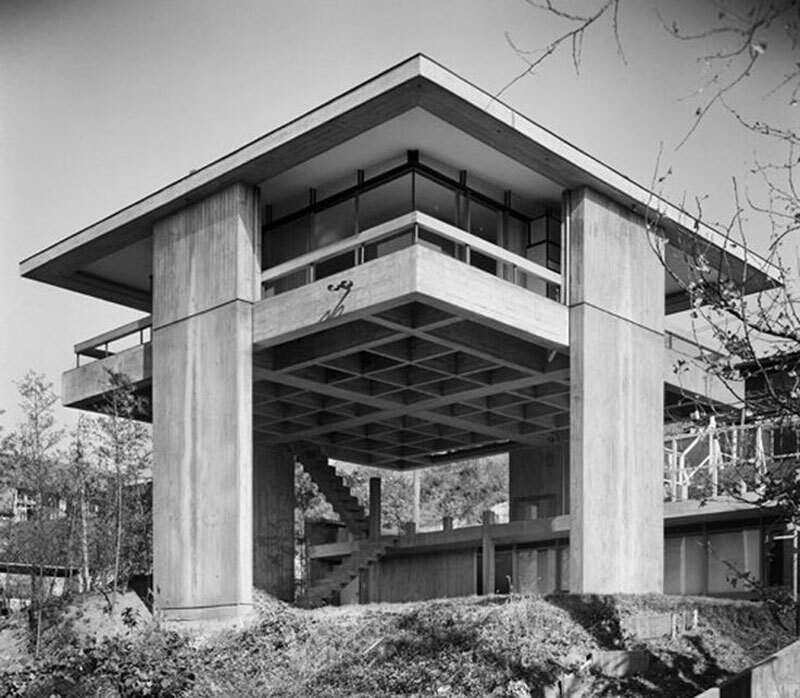 Hiroshima Peace Memorial Museum / Kenzo Tange. 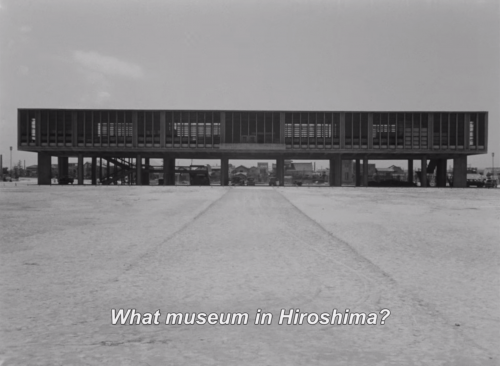 The initial plan was presented in 1949 and the building was made in 1955. source: "Hiroshima mon amour "
In the 50’s Kenzo Tange was very oriented towards the international architecture scene, note the resemblances between the memorial building and the work of Le Corbusier. 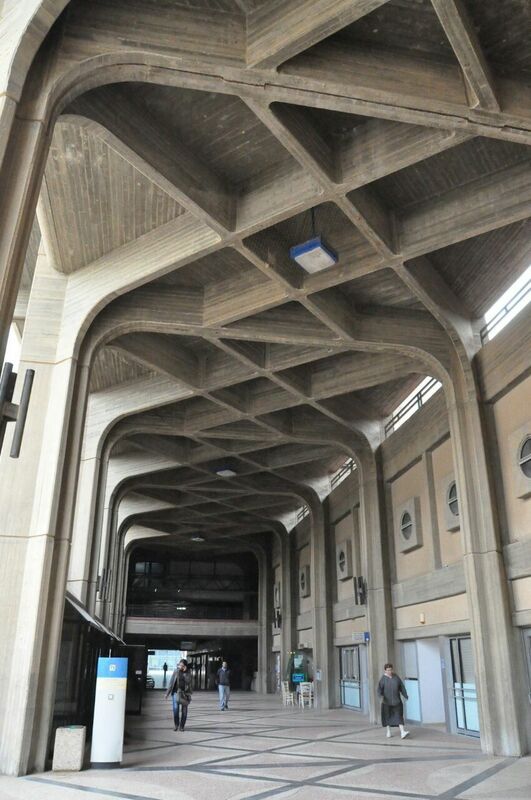 He also met up with and found inspiration in an architect such as Aldo Van Eyck who was in many ways in opposition to the “functionalism” of Corbusier that was criticized of ignoring its inhabitants. 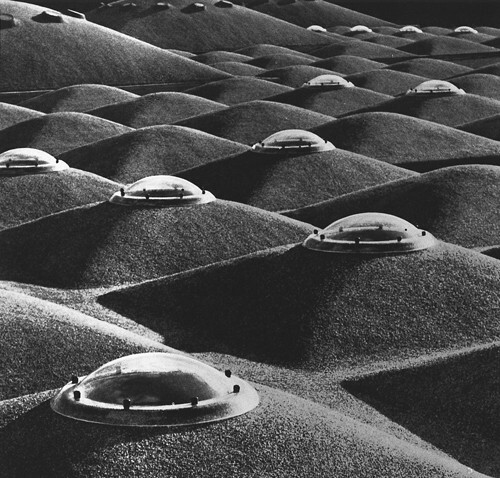 Van Eyck created the orphanage next to our school, and took part in coining the architectural movement structuralism that Tange also defined himself within. 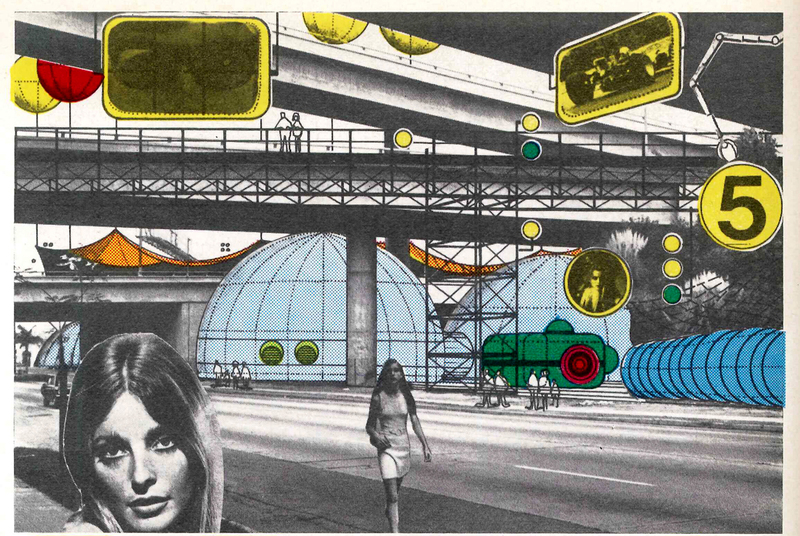 “Metabolism 1960 : The proposals for a new urbanism ”. 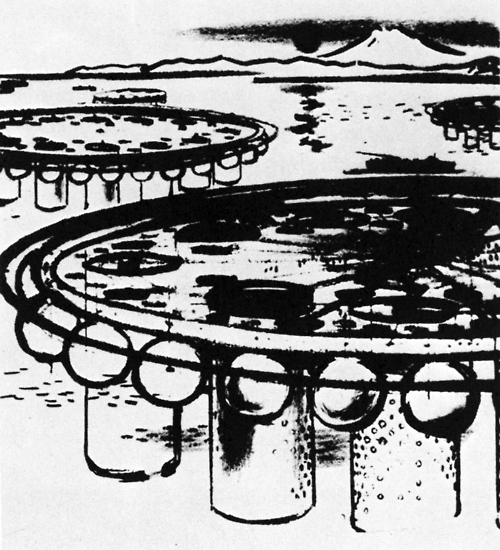 The name arrived to an other member of the movement, Kionory Kikutake, as he was working on a floating metropolis, his “Marine City” project. The word “Metabolism” comes from Greek and translates to “change” but also refers to the life-sustaining transformations within the cells of living organisms. As the name might suggest? they pushed that buildings and cities should be designed in the same organic way that life grows and changes by repeating metabolism. The “Marine City” is one of many projects that was never realized but played a central role in the works of the Metabolists. 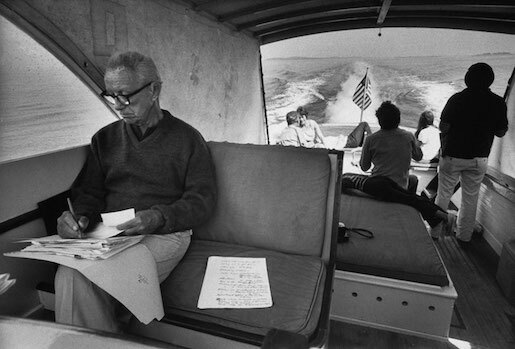 It was this vanguard idea of taking on new space whether it be the ocean or the sky that was the foundation of their way of shaping “the future”. 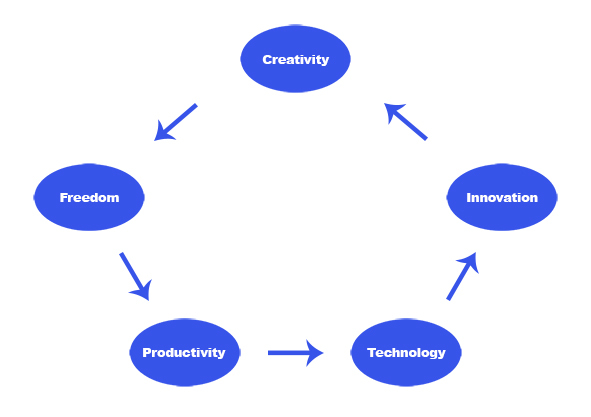 At the same time it required developing and making use of new technology. 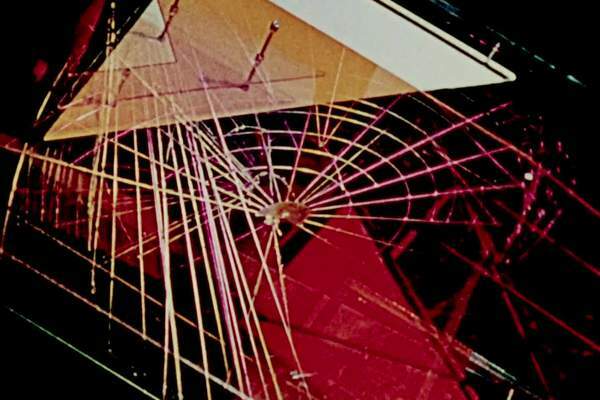 None of the experiments and realizations were made by single individuals but drew on the big think-tank that the Metabolist movement was from artists and writers to scientists and industrial designers. 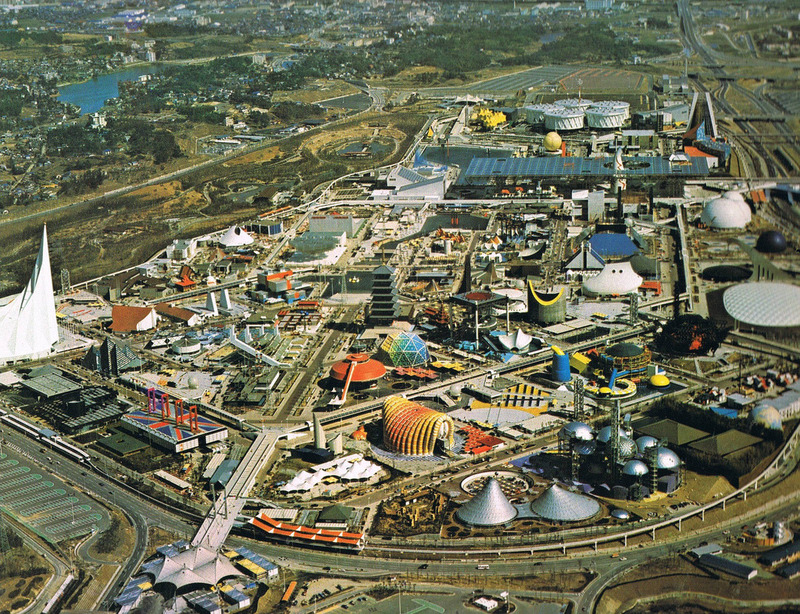 The “marine city” was a proposal for a solution to the rapid population boom especially taking place in Tokyo in the years after the war till the brink of the 60s. 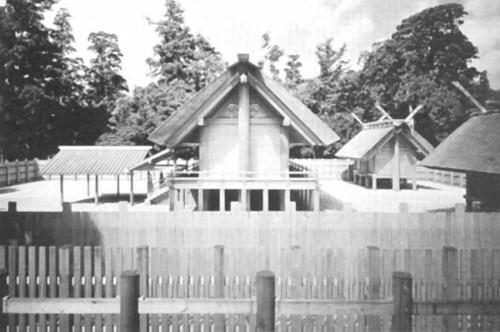 Kikutake believed that the ocean was the only valid space to develop in times of an imbalance between population and agricultural productivity. 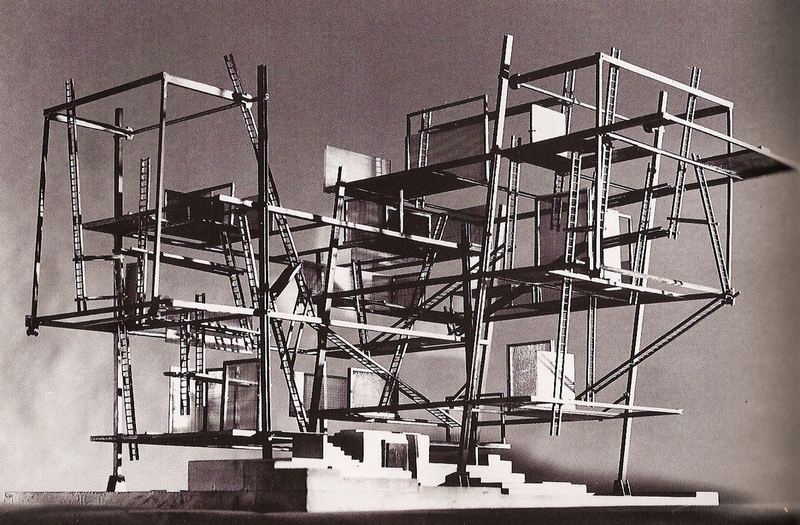 City in the air / Arata Isozaki 1961. Never realized. As such sustainability was surely an integral part of this movement as well as resilience considering how the risk of earthquakes and tsunamis make for tough conditions in japan – especially for urban concentrations. 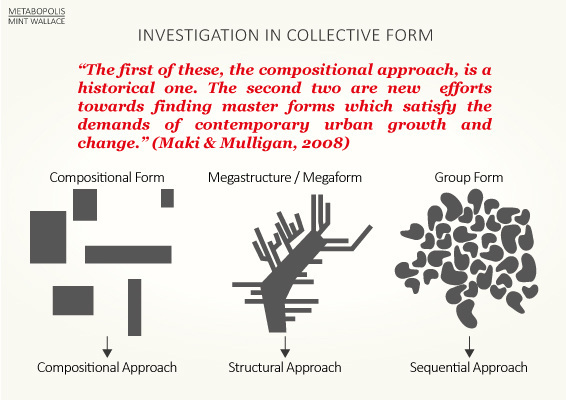 Structure wise the Metabolist movement was characterized by taking certain architectural steps towards recognizing this. A main idea was to design architecture to be built around “spine-like” infrastructure on and around which pre-fabricated replaceable parts could be attached being almost cell-like. 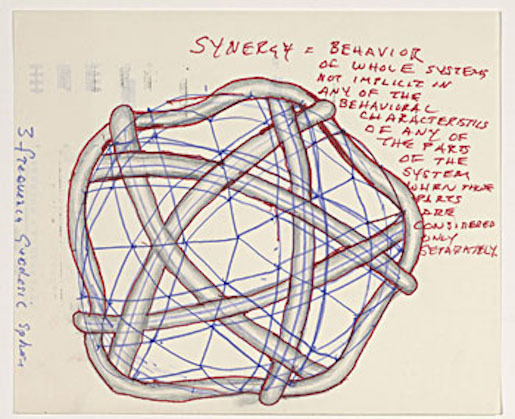 At the heart of this setup is also reorganization of the relationship between society and the individual. Another important inspirational source was found in old Japanese shinto religion and a specific Ise Grand Shrine that carries the ritual of being created anew every 20 years. 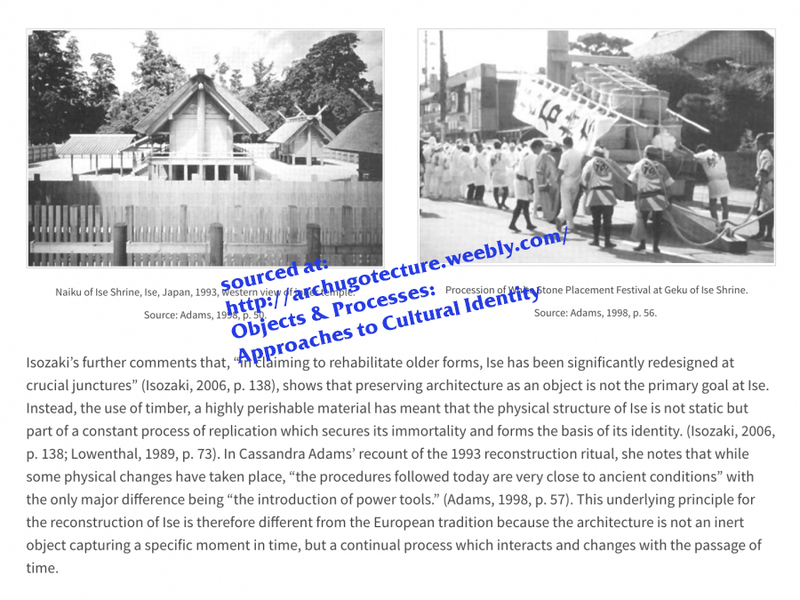 This is an example of how the Metabolists as a movement was wearing multiple meanings, being both modernists and traditionalists at the same time. The Metabolists respected environmentally-conscious boundaries and the material in which they worked. This gave them the pride, and also reluctance, to not be parted from their vision. 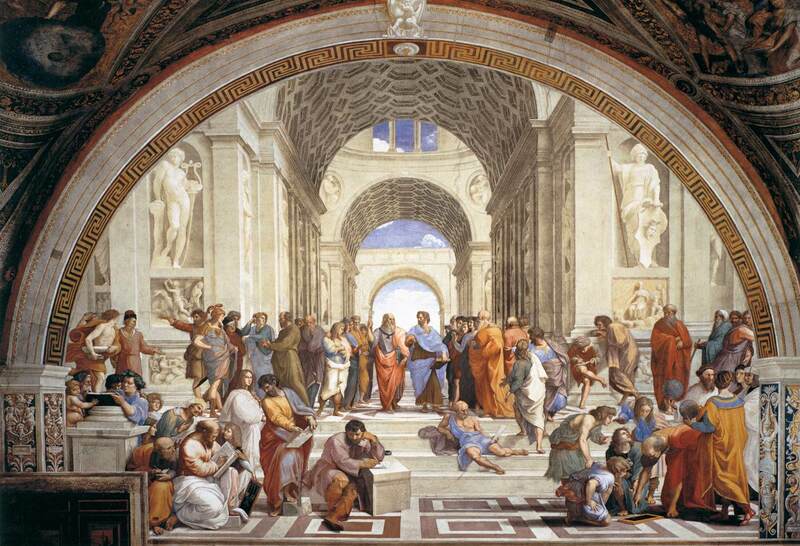 To demonstrate and construct only that of ideas was monumental enough. 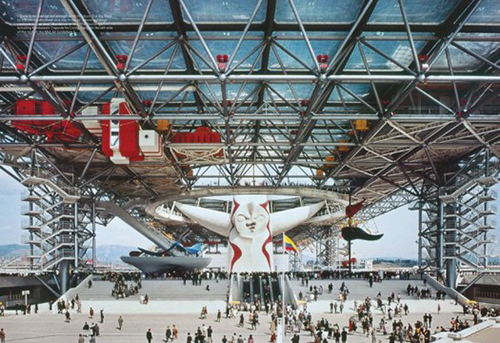 After 10 years of development and growth within the Metabolist Movement, the structure that was metabolism came to a climax, exhibiting some of their finest work, at Expo 70’ in Osaka, Japan. 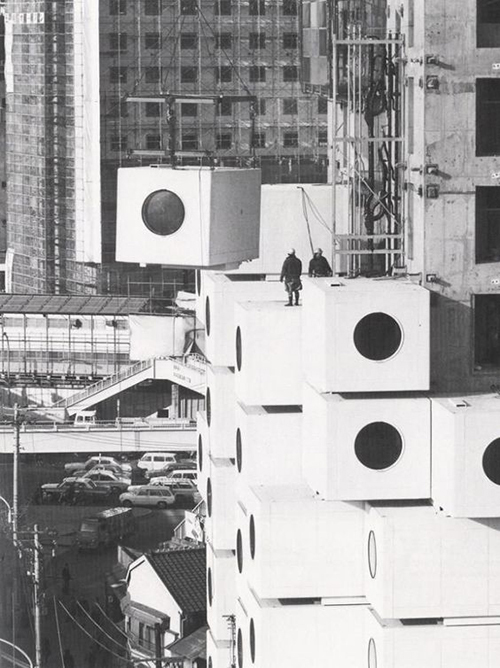 It was around this time that Kisho Kurokawa’s project, The Nakagin Capsule Tower, began construction. A process that took only 30 days to complete. Nakagin Capsule Tower / Kisho Kurokawa 1972. 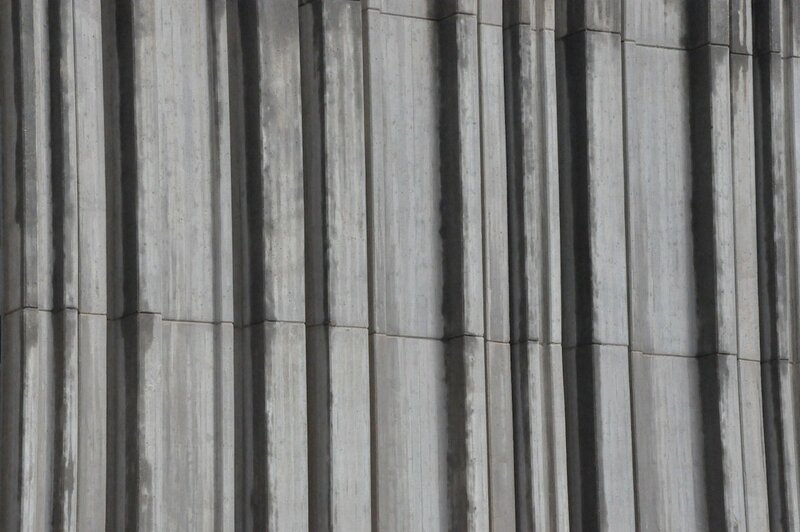 This building would serve as an “icon” to the movement. 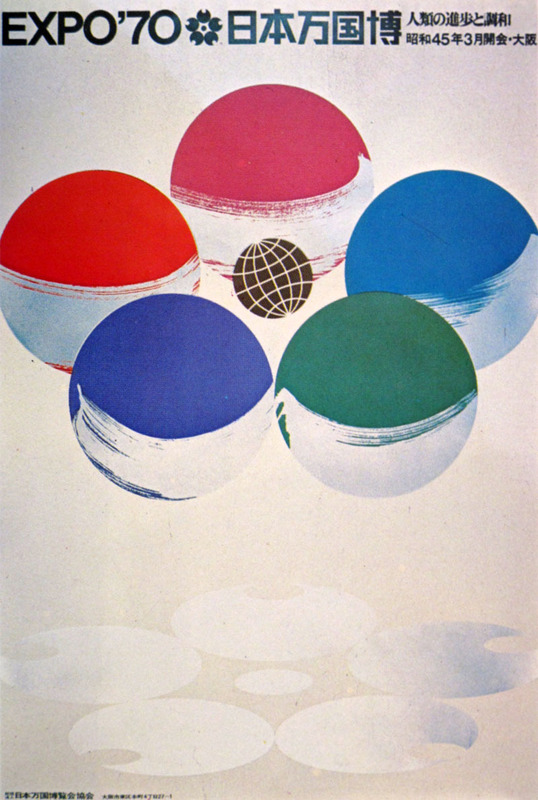 After the Expo 70’ took place in Osaka, individual architects from the movement began to take a step forward personally, focusing more on individualism and self-driven growth. Ideas about sustainable development within the 21st century are not new ideas; they have spread through a continuous evolution. An end sometimes not only existing as an end, but that of a new beginning. Defining psychogeography by breaking it down into two parts: it’s the psychological and the geographical. Psychogeography was used by Situationist as a study of the specific effects of the geographical environment on the emotions and behaviour of individuals. They were creating a channel of communication between the city and it’s citizens to strive for a better habitat and to create an utopia. We are all born into this world with a natural curiosity for our surroundings, and based on our early interactions and experiments we created our own interpretation of an Utopia. When we are thinking about our personal Utopian space, we are describing how different places, smells and colours make us feel and behave. We are transforming our desires into objects we like, materials we feel comfortable with, people we trust and streets we know. There are many environmental factors like our surrounding people, possibilities, opportunities and social facilities that can influence our desires. This makes me question if we should pursue our desires unconsciously (surrealist) to keep them as honest as possible. Sometimes I feel that our real desires change as soon as we think about it and act like it. When we are not conscious, we are not able to change them. A big part of these influences are the many choices we have nowadays. The amount of choice is overpowering our true desire, which makes it hard to feel satisfied. This might be the reason why our desires are changing and transforming itself over and over again. Because of the many choices we have to tend to get lost in between purpose, desire and satisfaction. To let go of these desires and expectations for a little while we can do a “Dérive” through the city. This was introduced by Guy Debord in 1956. 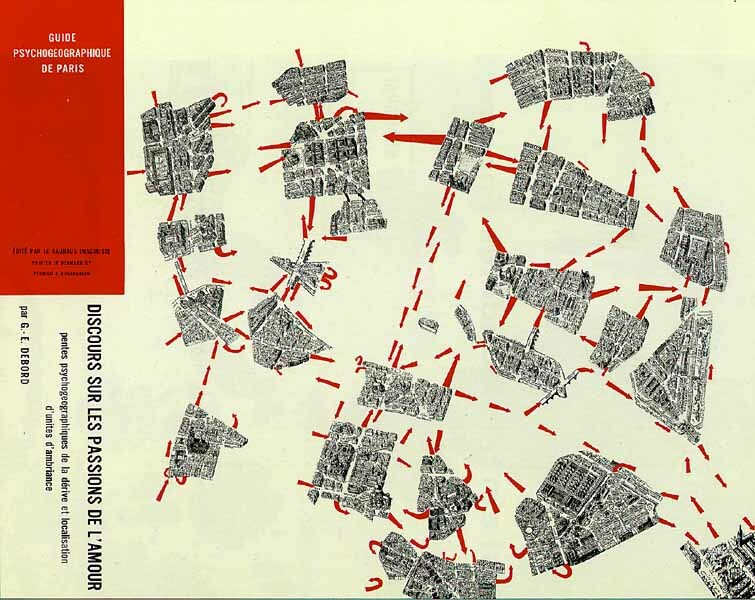 The concepts origins are in the Letterist International Collective based in Paris, where the dérive was a critical tool for understanding and developing the theory of psychogeography. The dérive is an unplanned journey though a landscape (mostly Urban) where the participant is following a new logic that let’s them experience the landscape again, and that will force us to see what we would otherwise ignore. Where a dérive in those times was all about exploring the streets and its environments, I think that a dérive nowadays has a lot more to offer: while we are having a moment of un-defined time in this “always-online” and time-focused world we are living in, the architectural spaces are inviting us to move. The choices we make are becoming an exercise of creating alternative ways of interpretation instead of passively following the traditional map. 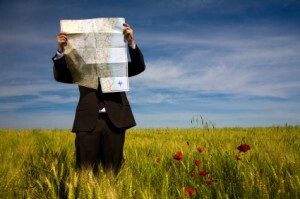 We are challenged to take courage and to get lost solely in order to find one’s way again. Nowadays, digital mapping and mechanisms of exploring geographic environments by using mobile phones or pc’s have reached a high level of development and importance. You can find a traveling guideline for the most simple things as well as very detailed environments from all over the world. This way current knowledge has transferred the concept of impossible into possible. ( there even exists an application called “derive“ that is helping you to get lost…….. ) It reminds me of the interpretation given by Situationist for the absence of utopia: “No utopia can no longer be available because the conditions to become reality already exists” Yet do these things only exist to maintain the current state of things and not to serve the needs for quality life. This knowledge and technology has created the development of Urban Interactive Installations and happening of interactive challenge. 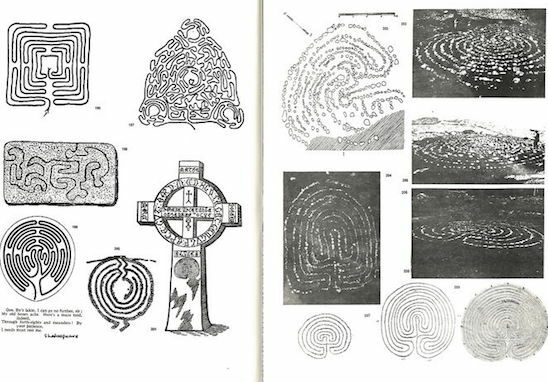 This whole new way of investigating and the human involvement in geographical environment has developed into another way of using psychogeography, where artists started to work by the theory of the Situationist and tried to approach the dynamics of human presence and behavior. 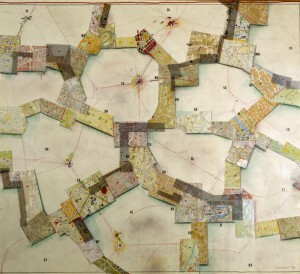 In fact, in many cases the artists who use the terms of dérive and psychogeography are not practically associating their work with the impression of these concepts, as originally interpreted. Also the Situationist have inspired many street artists, especially in term of content and composition . 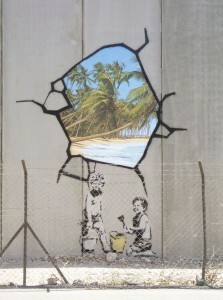 These artists are expressing their imagination on the wall by using the techniques of détournement and the construction of Situationist to create a whole new atmosphere in the city. “The revolution in everyday life, breaking its present resistance to the historical (and to every kind of change), will create conditions in which the present dominates the past and the creative aspects of life always predominate over the repetitive ones. We must therefore expect that the side of everyday life expressed by the concepts of ambiguity (misunderstandings, compromises, misuses) will decline considerably in importance in favor of their opposites: conscious choices and gambles”. 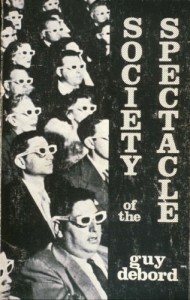 [x] Here you can read “the society of the spectacle” by Guy Debord. 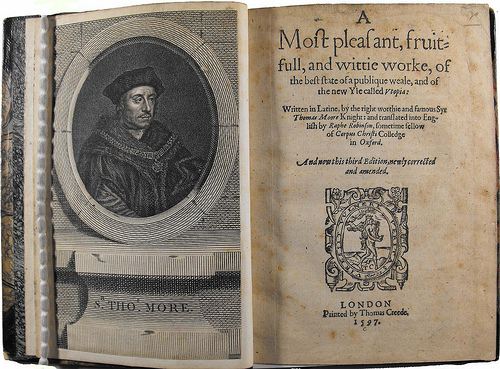 The book consists of 221 theses where he traces the development of a modern society in which authentic social life has been replaced with it’s representation. a sign of peace and reconciliation. 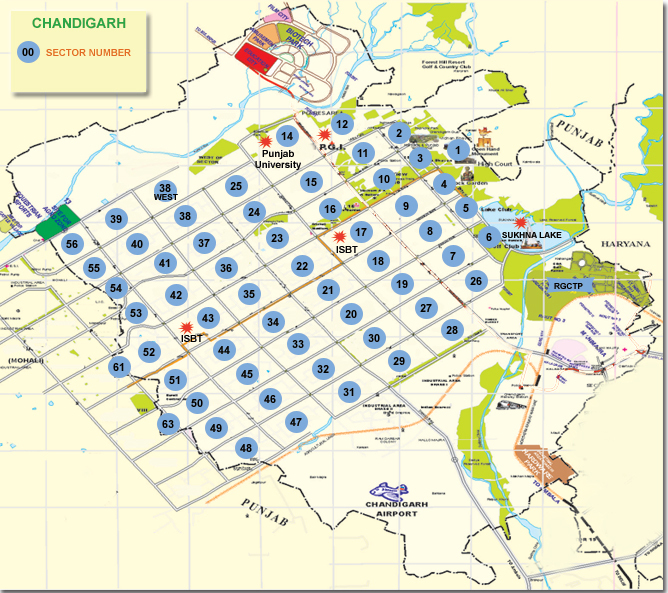 The city of Chandigarh was planned to be the capital city of the province of Punjab. 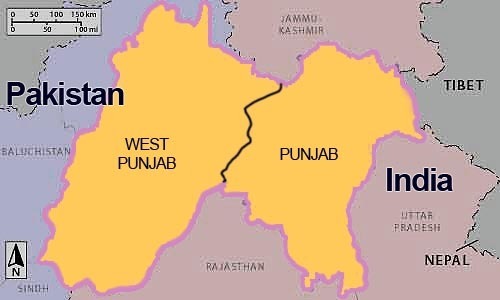 Punjab was left without a capital after India’s decolonization , leading to the partition of East and West Punjab. Lahore, the former capital of Punjab, became part of Pakistan in 1948. Just three years after leading India to independence, Jawaharlal Nehru, India’s prime-minister, commissioned the planning of a new capital to the architects Mayer and Nowicki. Nowicki died in a plane crash in 1950 and Le Corbusier was asked to finish the project in 1951. 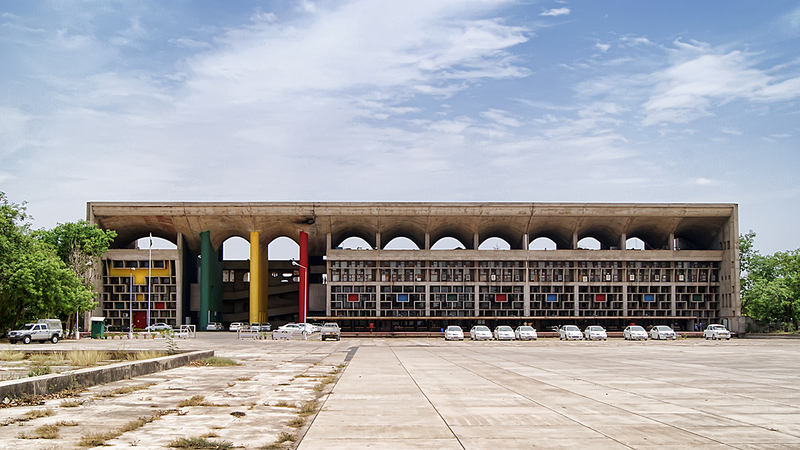 Being less popular in Europe and the U.S. at the end of his life Le Corbusier, was hungry to realise his ideas had the ambition to realise them in one last big project: building Chandigarh gave him that opportunity. 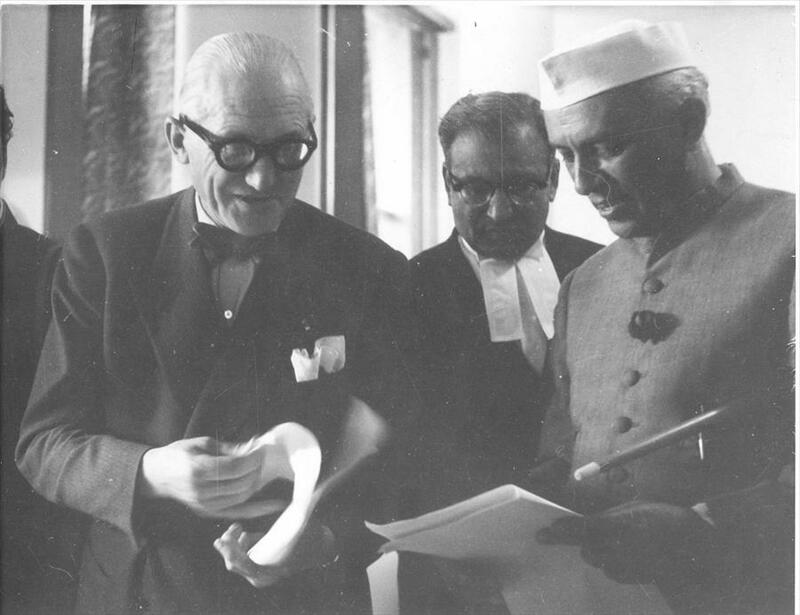 With the personal blessing of India’s prime-minister Nehru, who called Chandigarh his dream city. 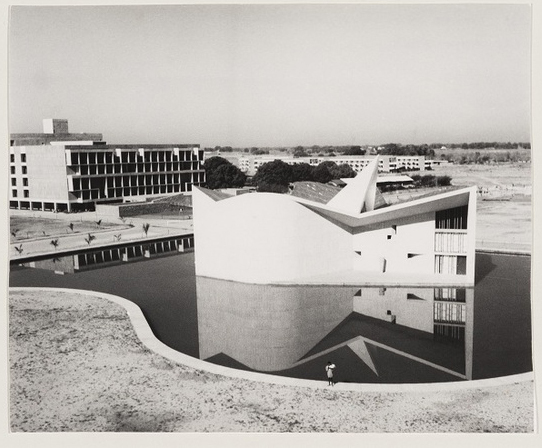 It is important to state that there were already plans for the city of Chandigarh and it is false to believe that Le Corbusier planned the whole city himself, which he did not. Le Corbusier’s plan was very similar to the one prepared by Mayer and Nowicki, changing original curved road networks with rectangular ones and grid iron patterns for fast traffic roads. 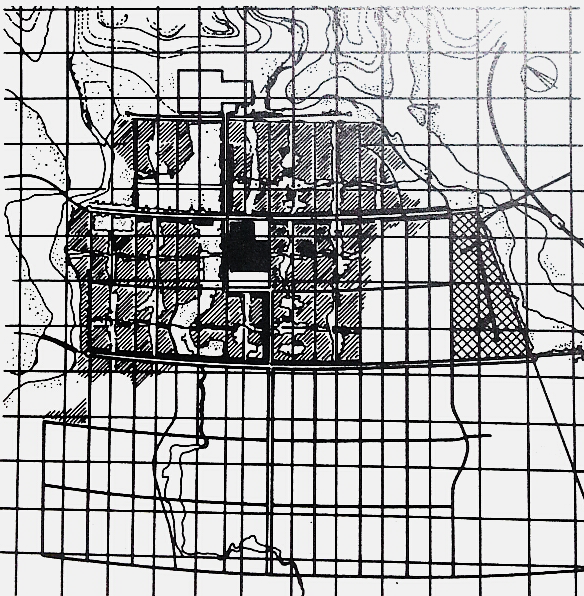 Mayer’s Urban Village became a Sector in Le Corbusier’s plan. 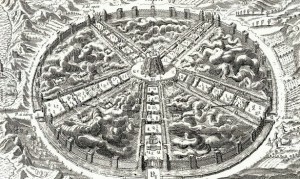 The idea was to build a Garden City without high skyscrapers, embodying big ambitions of social living conditions for its citizens. Le Corbusier’s modernist ideas about light, space and greenery were widely incorporated in the plans. 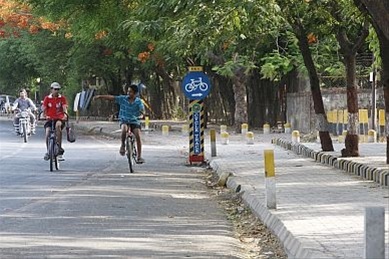 Every sector has its own public spaces to centralize the daily life of citizens and avoid scattering all over the city..
this pictures links to an interactive map of Chandigarh! 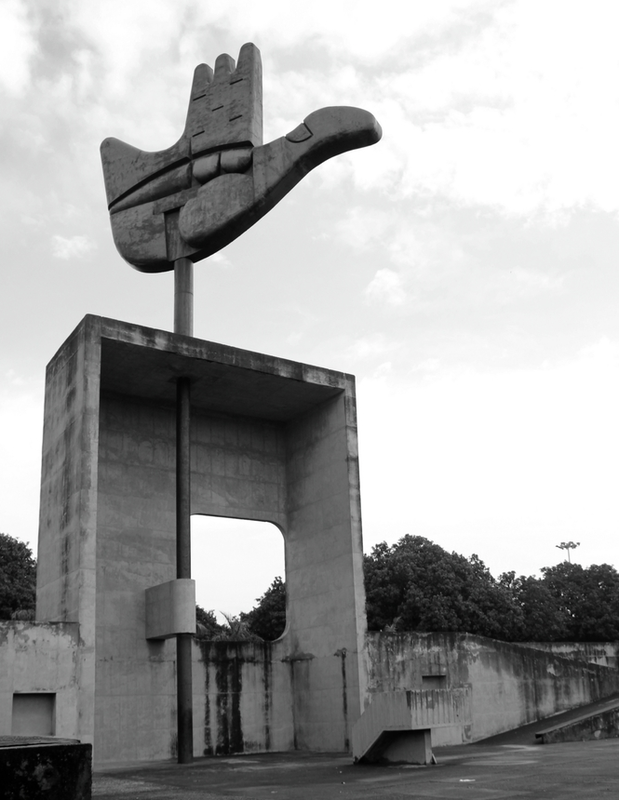 By designing he perfect city, Le Corbusier’s hand stretches out to touch each individual life ledin Chandigarh. 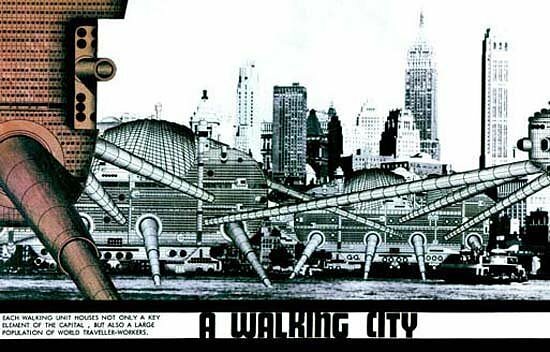 By designing an environment based on smaller sectors, Le Corbusier, Mayer, Nowicki, Piere Jeanneret and Jane Drew understood how overwhelming big cities can be—in that aspect, I think they were ahead of their time. 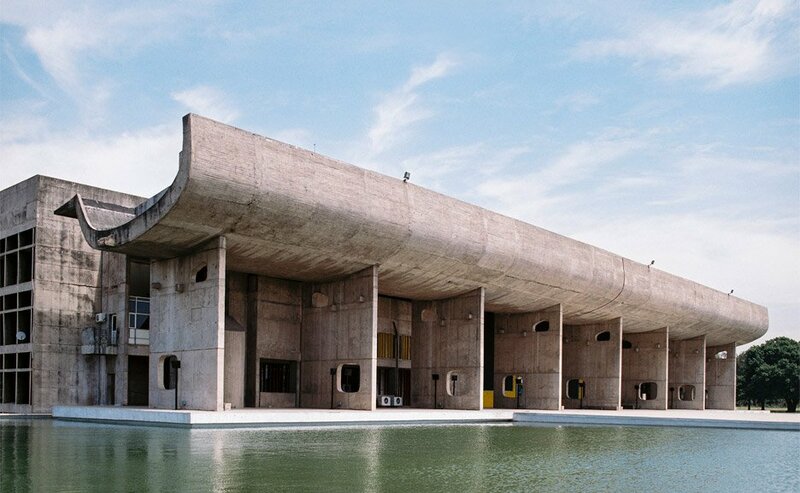 Recent studies show that Chandigarh is the wealthiest city of India and also has the happiest citizens, therefore I think, the life long learning experience formed Le Corbusier and I believe that Chandigarh is one of his masterpieces. 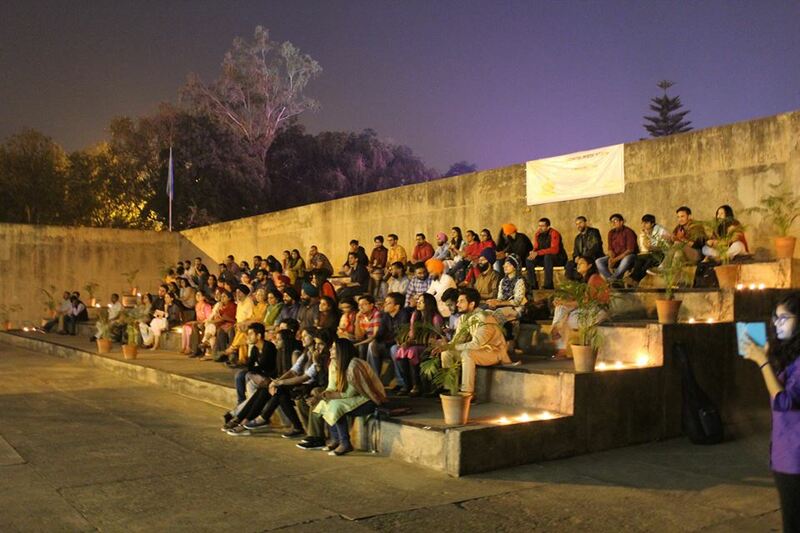 Chandigarh certainly earns it’s place on the Unesco World Heritage list, which he obtained this year. Situationism is an artistic, philosophical and political movement between 1957 and 1972, influenced by Dada, Surrealism, and Lettrism. 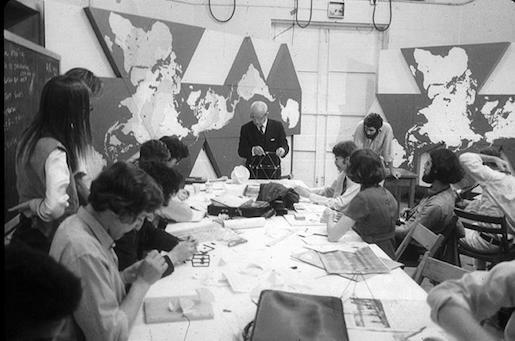 The movement was developed by Situationist International (SI) and mainly made up of leading figures like Asger Jorn, Guy Debord, and Constant Nieuwenhuys. At first, they were principally concerned with the “suppression of art”, that is to say, they wished like the Dadaists and the Surrealists before them to supersede the categorization of art and culture as separate activities and to transform them into part of everyday life. 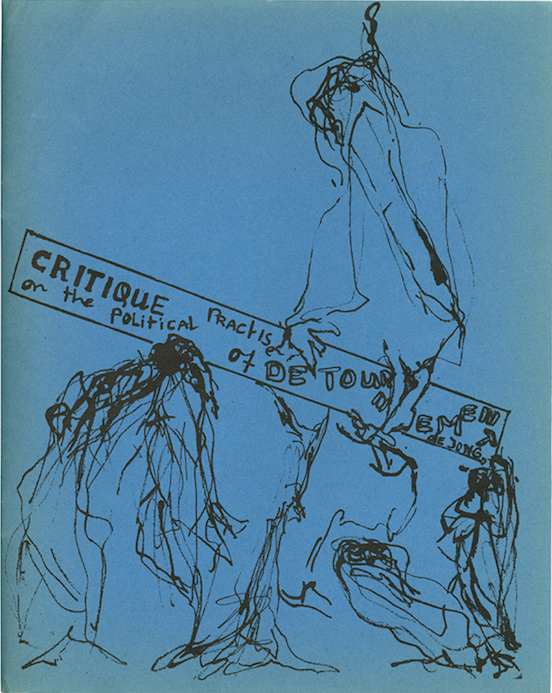 From 1962, the Situationists increasingly applied their critique not only in culture but also to all aspects of society. Look at this video link I found on Youtube. 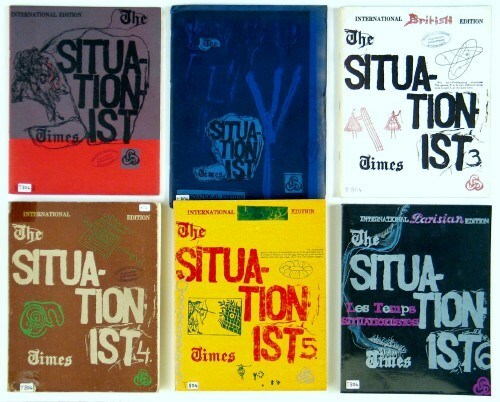 It will be helpful to your understanding regarding an overview of Situationism. 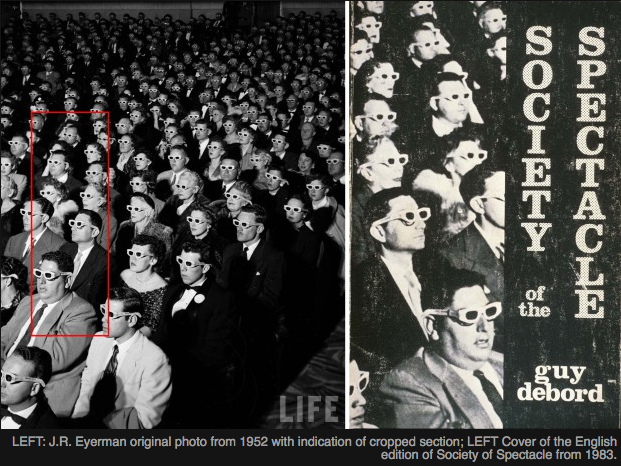 The ‘Spectacle’ is a central notion in the Situationist theory, developed by Guy Debord in his 1967 book, The Society of the Spectacle. Here is a good description of the ‘Spectacle’. 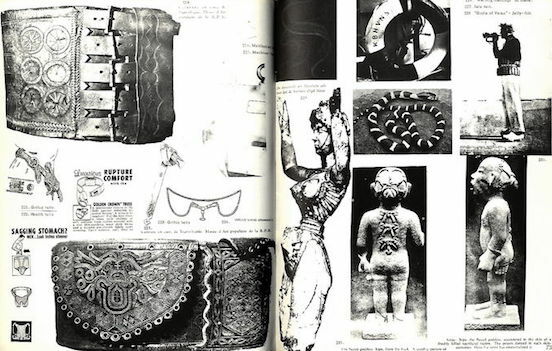 Debord’s concept of the ‘Spectacle’ is a form of commodity fetishism. Debord emphasized that the spectacle is not a collection of images, but rather, “a social relationship between people mediated by images.” … The ‘Spectacle’ is “the concrete inversion of life” and the “autonomous movement of non-life.” The principle of the spectacle is “non-intervention.” … For Debord, capital accumulated beyond a certain threshold is transformed into images. 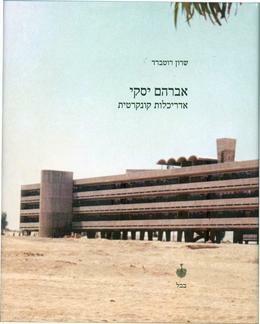 Debord updated and expanded upon Marx’s theory of commodity fetishism, applying the idea of reification to all areas of social life. As I understand [x], ‘Spectacle’ means the society of kind of mass media, capitalistic and consumerism. The post-war capitalism was changed to ‘consumption’ capitalism through the economic boom. For instance, the revolutionary ‘worker’ who was producing in a factory became a conformist ‘consumer’ shopping in the market. The Situationist believed that consumptive lifestyle was isolated human from society and criticized this ‘Spectacle’ environment also. I think they didn’t want to conform to some social structure because capitalism didn’t allow it, to imagine human’s fantasy. I supposed too because the social atmosphere was focused on a function to make mass production. 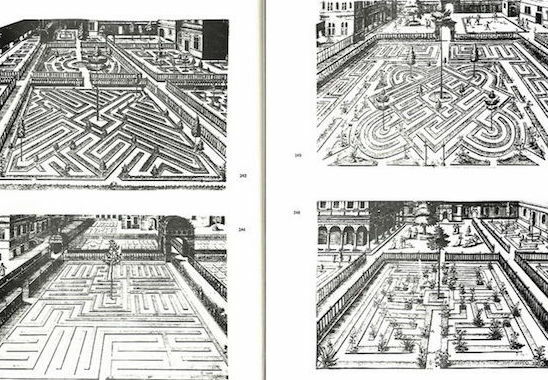 And also, the modern city planning didn’t leave space for imagination or expression. 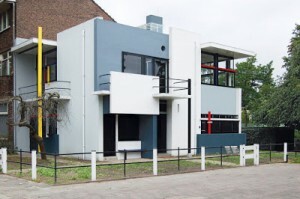 Most of the architecture were influenced by modernism style with technological advances, thus the building came out of functional and formalized form. Therefore they had doubt why we have to live in functional space without our desires. 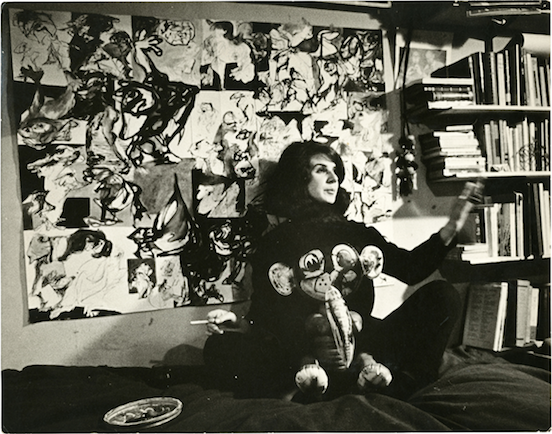 Therefore some of the artists start to dream of utopia. The Dutch artist, Constant Nieuwenhuys, proposed the ‘New Babylon’ which is 1960s imaginary city concept. 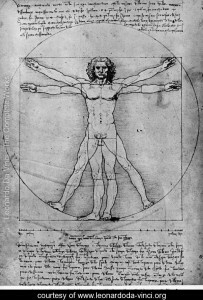 He expressed his ideal new world and believed that new environments would be created where everyone would be free to move around as they wished. 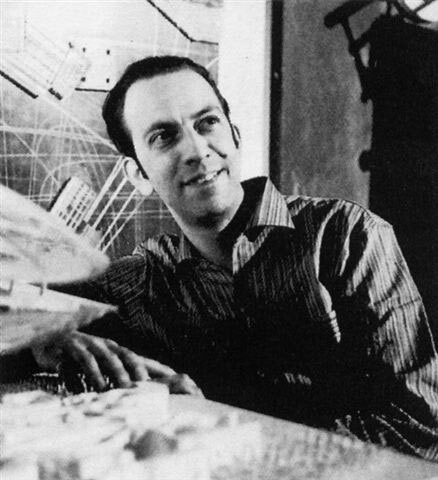 His work implied a new form of urban life. 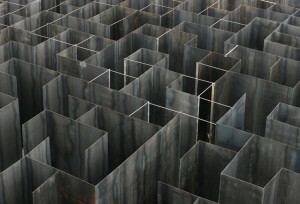 I was impressed by his work ‘Labyrinthine Space’. To me, it looks like an imaginary space for play. Of course, different feelings are awoken, depending on the viewer’s insight. I felt that going through unlimited revolving doors. All of the doors seems to be taking me to other connecting spaces. So you can imagine this to be a new exit or entrance to go or do something, whenever you go through the revolving door. If so, it really needs our boring reality as a small play. I made my ideal space using revolving door’s image easily as below. At this moment the majority of the population on earth lives in an urban environment and the digital information era is attempting to decrease our play entirely. It says, even if capitalism develops more, it does not create the spare time to dream yourself. Perhaps we have lived only as conformist consumers and not as creative producers in modern society. 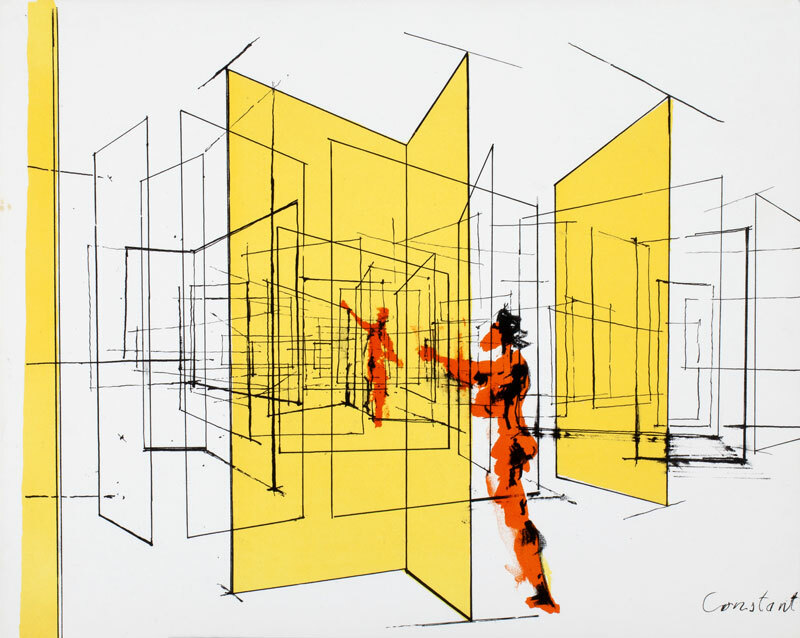 At this point, Constant’s utopia project is and will be an excellent source of inspiration to find a solution in contemporary life as I experienced myself in that small “play space” through the revolving doors. I guess this meaning of “play” could be slightly different from what the Situationist wanted. Of course, we are living in a different period. 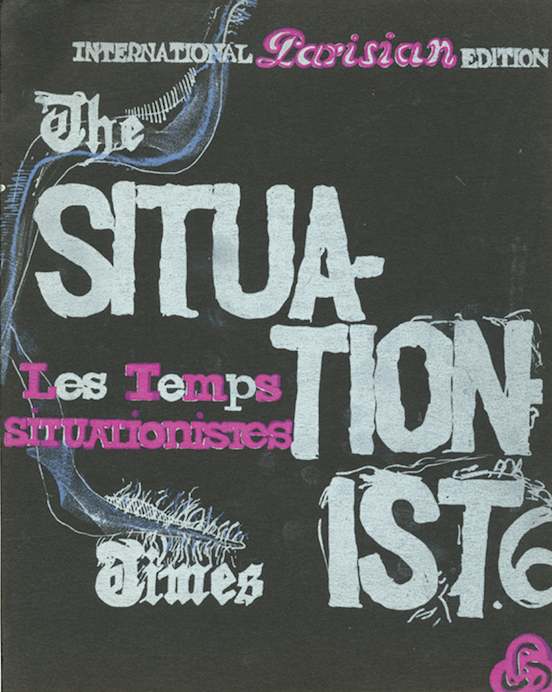 Nevertheless, the critique of Situationists has relevance to the contemporary debate. So, it could be a good alternative measure in our society and we know such a change is possible through various appropriate behaviors. So I suggest; consider to find your own small play from now on. Guy DEBORD - Concept of "Derive"
How could people renounce to act, to move into a defined space? Everyday is the same way. Wake up, go to work, one way. Finish work, go back home, same way. Same streets. Same sidewalk. Same hall. Same way to move into a defined space. I’m bored. I have the feeling of being programmed. I walk as an automate. The way I’m moving is determined by the space. 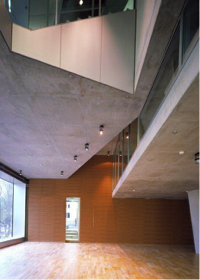 A space, which has been built to create a certain kind of movement. Movements chosen by the hand of the architect. Let’s take the chances as a guide. The derive is defined by Guy Debord (a French Marxist theorist, writer, filmmaker, member of the Letterist International, founder of a Letterist faction, and founding member of the Situationist International) as a fast technical way to go through different atmospheres. 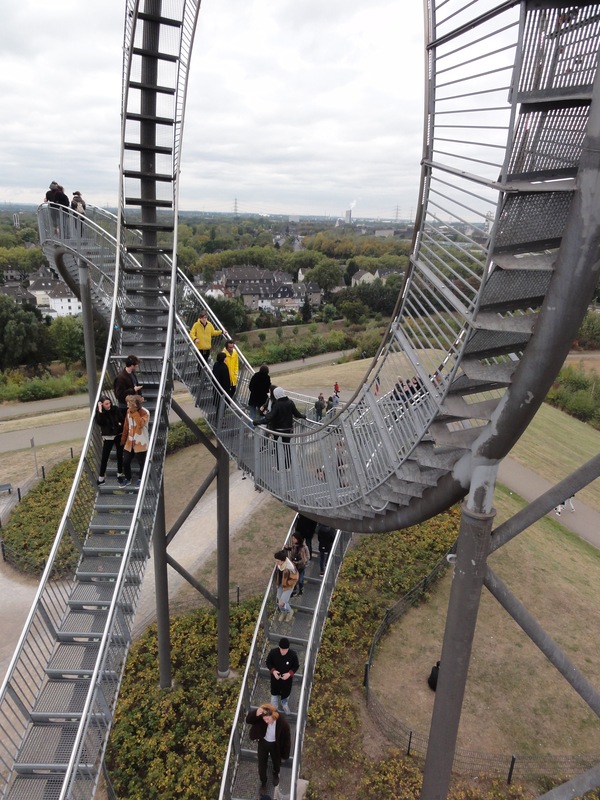 It is deeply linked to the space and to how people recognize it. The right words are “the psychogeographical thought”. 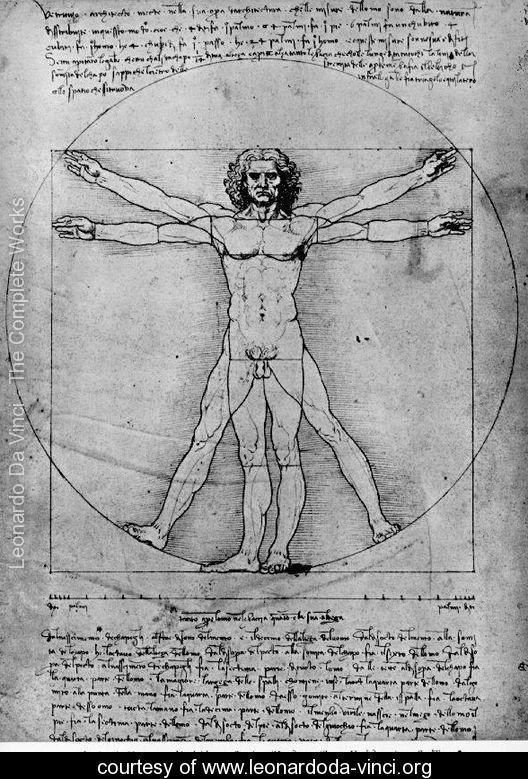 The human being evolves during his life through different spaces. He is acting, moving because of his feelings but also because of the space he is in itself. If the space is small, without windows, just made of walls, he will turn around in circles like a wild beast, searching for some space to explore. Put him into a wide space, with no walls, maybe he will run, maybe he will walk but he will have the freedom to explore. The space, thus, determines our behavior. The chances has an important repercussion on the derive, even if the mind and feelings about the space, are still the elements which affect your choices. You’re walking in the street without any goal, you want to get lost, to explore. To your left, there is a narrow passage, it seems calm and quiet. To your right, there is a big street, noisy and full of people. Which one would you choose? Which path will attract you the most? Your feelings will help you choose. The derive is something you can do by yourself, alone, but it has more impact in a small group. People can help you discover different places you don’t know, they can help you appreciate it. Also, a group of 4/5people maximum can create a different energy than if you were just by yourself. The exploration supposes a kind of calculus which helps you to know where you are going. That’s what the map is for. 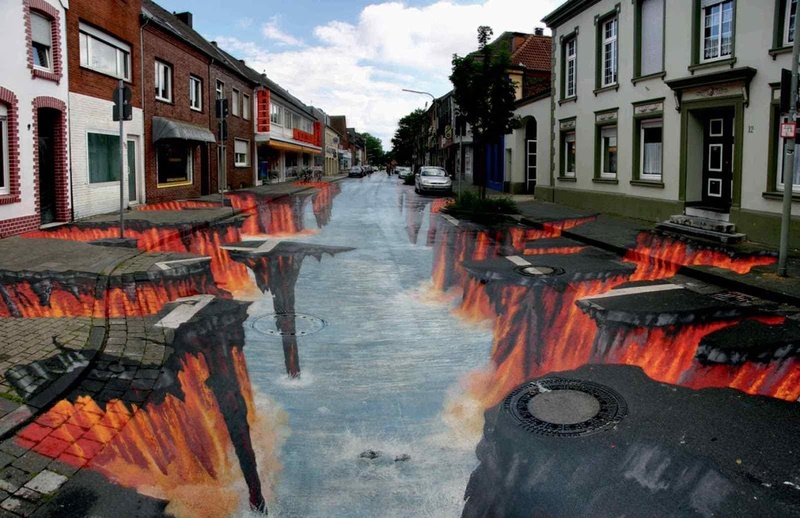 In your daily life, you just know the streets you need to take to be at specific places. Take a map and start to look at what is around you will help you to understand how the city is built and how you can play with it. A small change of your routine can have a very positive impact on you. Your attention will be different so you will start to feel the pleasure of the unknown. 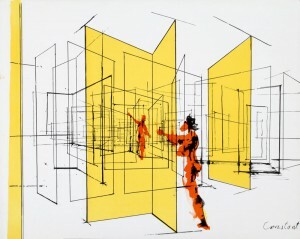 In architecture, the derive creates new spaces, new ways to go, to move and to determine the space. 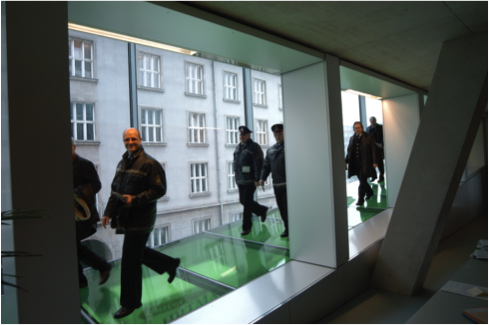 Everyday you take the lift, go to the 3rd floor and open the second door on the left to your office. No excitation. 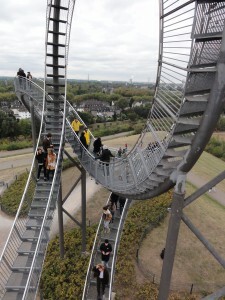 Tomorrow, you will climb the stairs, try a new way to move and you will rediscover a place you thought you knew. Why not create a place where the owner could remove the walls to make the space bigger or smaller? A place where he could be his own architect, a place where, he has everyday, the possibility to create his own space. 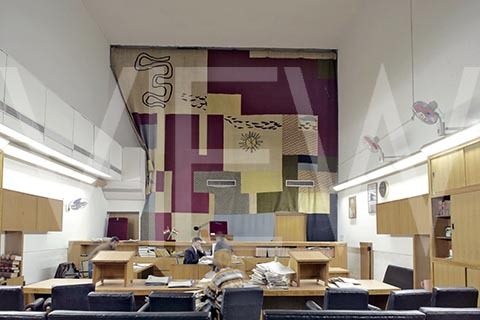 For example, in 1955 a building was built in New-York in which three four room apartments could be turned into a big twelve room apartment thanks you moving walls. 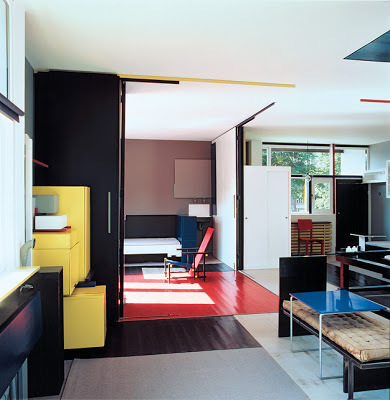 Also, one of the most famous architecture of De Stijl movement, the “Schröder House”, illustrates very well this idea of transformable space. The Rietveld Schröder House in Utrecht was built in 1924 by Dutch architect Gerrit RIETVELD for Mrs. Truus Schröder-Schräder and her three children. She commissioned the house to be designed preferably without walls. 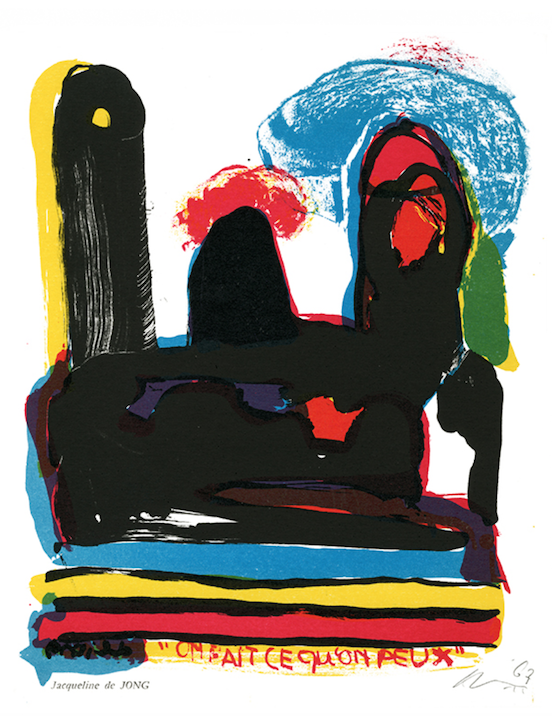 It is visually very simple with its use of primary colors and geometric shapes. The outside-inside boundaries seem to blur, thanks to its many windows that open up completely to welcome nature indoors. This house is a great exemple of a home you could easily transform to suit the weather, your mood. 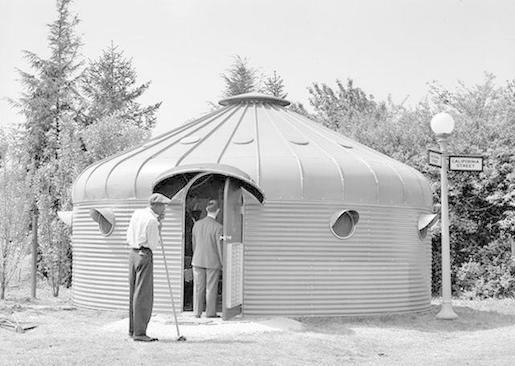 The simple and straightforward house was made using long-lasting, affordable and standard materials like concrete, glass and wood, with floors made from rubber and even some small cork areas in the bedrooms, for standing when getting out of bed. A doorbell and a long horizontal window that only open a small area to receive the post straight to the working desk inside. Upstairs, three bedrooms and a living room area around a central staircase and fireplace can be dynamically turned into a open big open space when opening wide up the sliding the walls. The whole idea of derive deeply echoes Constant’s work. 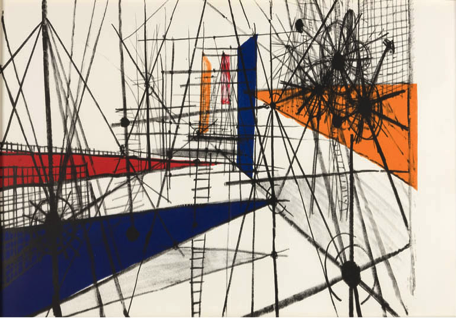 After WW2, the artist saw the destroyed cities as a possibility to rebuild them in a different way. He started to think about a New Babylon, a city that would offer to his citizens a new way of life, a new way to explore the space. 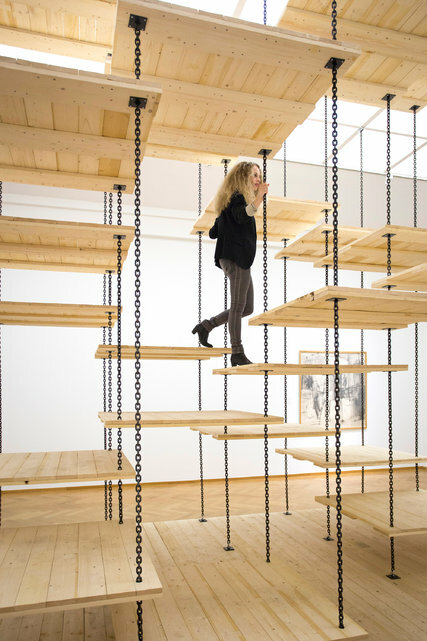 Stairs, ladders, open spaces, light… Everything in his mock ups gave the user the possibility to create his own space, his own movements, his own rules. On a certain level, we can say that Constant wanted to give us the possibility to derive. This idea echoes Guy Debord ’s sentence, “One day, people will build cities to derive”. To my mind, i think that with or without those utopic cities, we already have the possibility to derive. As human beings, we are building our own limits. If we decide to see our everyday life as a playground, if we push ourselves out of our landmarks, out of our comfort, we became the actors of our derive. The main problem of derive is finally how we accept to deal with the notion of freedom, the freedom we are giving to ourselves. Constant Nieuwenhuijs. 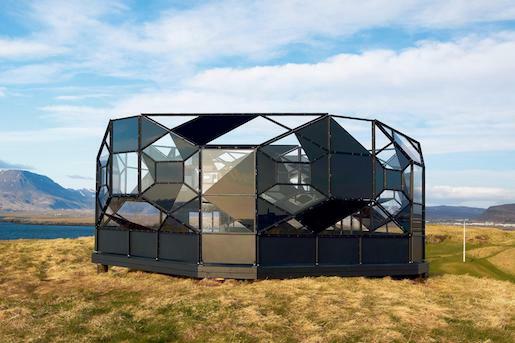 Een verbinder van autonome kunst en moderne architectuur. Wij gebruiken Constant als vertrekpunt en zoeken naar de relatie tussen zijn werk en dat van de Cobra kunstbeweging en Rem Koolhaas, een moderne architect. Hoe het werk van Constant door de cobra beweging is beïnvloed, en de ontwerpen/ideeën van Koolhaas weer door Constant, als in een kettingreactie. Overeenkomsten tussen de Cobra beweging en Constant’s ideeën over New Babylon en architectuur in het algemeen. De utopische denker Constant Nieuwenhuijs heeft zijn roots in de schilderkunst. Tussen 1948 en 1951 was Constant zeer actief binnen de Cobra kunststroming. hij was er mede oprichter van. Cobra kwam op na de tweede wereld oorlog. Na deze heftige en gruwelijke tijd doorleeft te hebben waren kunstenaars opzoek naar een wedergeboorte. Iets om steun uit te halen of iets om te kunnen relativeren. Cobra kunstenaars vonden onder andere hun inspiratie in kinderlijke en primitieve kunst. Hiermee konden ze hun zorgen over de toekomst van kunst en menselijkheid uiten, die beschadigd waren voor de traumatische ervaringen uit de oorlog. De kunstenaars streefden naar een utopische wereld, waarin vrijheid centraal zou staan. Dit vonden ze door te breken met het artistieke verleden en esthetica en een nieuwe kunststroming te creëren waarbij spontane activiteit en expressie het belangrijkst was. Vanaf de jaren ’50 wordt het werk van Constant werk abstracter en ontwikkelt het zich uiteindelijk meer in de richting van ruimtelijke experimenten en architectuur. Hij bouwt een stad van de toekomst; New Babylon, vormgegeven in schaalmodellen, collages, tekeningen, landkaarten en meer. Hij wordt zich steeds meer bewust van hoe gebouwen om ons heen mensen beïnvloeden. Het valt Constant op dat de meeste moderne constructies vooral praktisch zijn en saai en dat ze nauwelijks ruimte bieden voor een speelse en creatieve manier van leven. 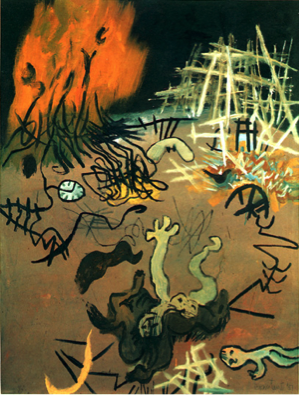 ‘Burning Earth‘, uit 1951 (boven), een schilderij door Constant aan het einde van zijn Cobra periode. Je ziet al meer interesse voor ruimtelijkheid in zijn werk. Waar het voorheen altijd plat is geweest. Ook lijkt de constructie rechts achterin het schilderij bijna op een van de latere werken van Constant. Een New Babylon compositie, (onder). New Babylon is een radicale, doch logische opvolging van de Cobra periode in Constants carrière als kunstenaar. In beide is een diepe drang te zien, een zoektocht naar vrijheid en verandering. In het New Babylon project van Constant gaat hij uit van een alternatieve, volledig geautomatiseerde maatschappij, waarin arbeid overbodig is. In zijn ideeën over deze moderne en vooruitstrevende samenleving is de mens vrij om zich volledig te richten op het ontwikkelen van creatieve ideeën. De spelende mens bepaald zelf het uiterlijk van zijn leefomgeving. In beide levensfases zoekt constant naar zo’n alternatieve levenswijze. Zowel in de cobra beweging als in de New Babylon tijd was Constant opzoek bezig naar een ideologie van ultieme vrijheid en spel. In beide delen van Constants leven drukt hij een utopie uit, geïnspireerd op wat er op dat moment in de wereld aanwezig was en wat hij daar graag anders aan zou zien. Zowel Koolhaas als Constant gaat uit van de sociale functie die architectuur te bieden heeft. Het heeft de kracht mensen met elkaar te verbinden doordat ze in een bepaalde ruimte zijn met een bepaalde ambitie, een functie. Bij Rem Koolhaas zie je duidelijk dat de persoon die zich in zijn architectuur bevindt, een gebouw van hem betreedt, onderdanig is aan zijn ontwerp. 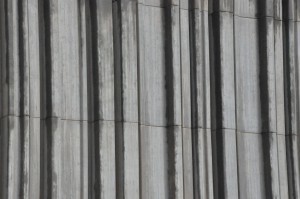 Een voorbeeld hiervan is de Nederlandse ambassade in Berlijn. In dit gebouw is er een deel met een glazen vloer waardoor je bij mensen met een rok of jurk inkijk hebt in het kruis. Dit veroorzaakte bijvoorbeeld al een probleem bij de opening van het gebouw. Bij deze opening zou de toenmalige koningin Beatrix aanwezig zijn. Zij draagt altijd een jurk of een mantelpakje. Het idee dat je onder de rok van de koningin kon kijken als men zich op de etage eronder zou bevinden, zorgde voor een schandaal. Maar dit werd uiteindelijk simpel opgelost door er een loper te leggen voor de opening van de ambassade. Het gebouw heeft ook richtlijnen die je naar bepaalde hoeken en punten dwingen te kijken. 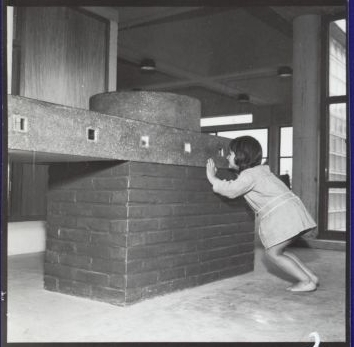 Rem Koolhaas straalt met deze keuzes een bepaalde brutaliteit uit. Het gebouw wordt een ervaring voor diegene die er binnentreedt en gedwongen is zich aan deze ervaring over te geven. En dat zie ik in ieder ontwerp van Koolhaas. In ieder van zijn gebouwen voel je zijn aanwezigheid sterk. Hij laat het gebouw als een gids aanvoelen die je er heel natuurlijk en toch gedreven doorheen leidt. Tijdens het onderzoek kwamen we terecht bij een filmpje over het theater wat Rem Koolhaas heeft ontworpen voor Taipei. Het is interessant om te zien hoe hij naar theaters kijkt. We zien een duidelijke connectie tussen het Theater in Taipei van Koolhaas en de stedenbouwkundige plannen van Constant. Rem Koolhaas bouwt hier een nieuw gebouw over een reeds bestaand gebouw heen. 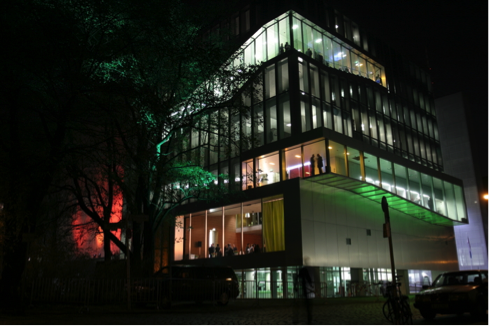 Het theater wordt over de nachtmarkt heen gebouwd. Hiermee wil Koolhaas twee werelden combineren die beiden ‘s avonds floreren. Hij vertelt in het interview dat in Taipei de mensen laat naar bed gaan. En is het nachtleven dus heel belangrijk. Hij gaat in op hoe mensen zich gedragen, waar ze zijn en waarom. Hij analyseert en onderzoekt ieder detail voor dat zijn ontwerp tot stand komt. Het idee van een nieuw gebouw over een bestaand gebouw heen bouwen, in plaats van de nachtmarkt te verplaatsen, zoeken zij naar een manier om het oude en nieuwe samen te laten komen, is door Constant geïnspireerd. Koolhaas slaagt er in allebei om ruimte zo efficiënt mogelijk te gebruiken. Zo worden verschillende werelden gecombineerd. De code van het combineren houdt Koolhaas ook binnenin het gebouw aan. Hij plaatst de drie ruimtes naar elkaar toe met het podium als centrum. Als publiek zit je om de drie podia heen alsof je in een arena naar sport zit te kijken. Alleen heb je dat als publiek niet door. Iedere tribune wordt als aparte zaal gezien. Per tribune kijk je naar een andere voorstelling, zoals je dat in de klassieke theaters ook hebt. In iedere zaal wordt een andere voorstelling gespeeld. In deze constructie kun je de schotten tussen de drie podia weghalen. Hierdoor creëer je een nieuwe ruimte. Dit geeft een breder perspectief voor het gebruik van deze ruimte. Voor theatermakers is dit een interessant gegeven. Ze hebben nu meer inspraak en keuze in het gebruik van ruimte. Voor andere doeleinden wordt de ruimte nu ook interessant. Koolhaas slaagt er hier in om zoveel mogelijk uit een ruimte te putten. Zodat deze nog functioneler gebruikt wordt. We hebben het idee dat je in de gebouwen van Koolhaas nooit alleen bent. Hij maakt scheidingen maar toch weet hij de ruimtes niet zo te isoleren dat het afgesloten en op zichzelf bestaat. Constant en Koolhaas zijn eigenlijk de hele tijd op zoek naar hoe ze mensen met elkaar kunnen verbinden door de functies die architectuur als doel heeft.